Bryan’s Review of ‘The Apparition’!!! I haven’t seen a movie this terrible since ‘Wrath of the Titans’. Read me review of that HERE. Todd Lincoln’s horror movie, ‘The Apparition’ is hands down one of the worst films I have ever seen. And I hate to say that, because I love horror films. But not one wretched piece of this movie had any redeeming quality about it. The only way I would ever think to sit down and watch this film again would be if the good folks over at Rifftrax did a riff commentary on the film. Even then, I’d hate myself for watching it again. I’d rather watch ‘Manos: The Hands of Fate’ every day for a year than watch ‘The Apparition’ again. The film starts out with a group of college kids holding a seance, trying to contact a medium. With the table shaking, a few flashing lights, a moan, and a statue emitting beams of light, all hell breaks loose as one of the college kids is sucked into a cement wall, disappearing. Immediately cut to a few years later as we meet Kelly (Ashley Greene) and Ben (Sebastian Stan), a couple who is shopping at Costco (2nd movie this summer to feature Costco heavily) to furnish their new house they are watching for their parents. Ben was one of the college students from the first scene, which his girlfriend Kelly does not know about. As they both settle into their new place, furniture starts to move, a dog dies for no reason, clothes are tied in knots, and a mysterious fungus starts to appear everywhere. The dead dog made me chuckle a bit since Kelly is introduced as a wanna-be vet. Lulz were had. As the mysterious events start getting stronger, Ben finally answers his friend’s call about what is happening. That friend is Patrick (Tom Felton). 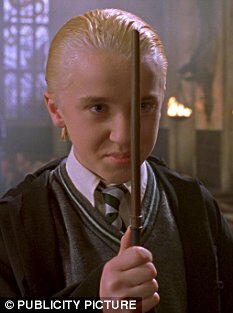 Yes, that Tom Felton, from Harry Potter. Patrick was one of the college kids too in the first scene. He was sort of the brains behind the operation, and over the years, he has developed some high-tech communicating devices that accidentally opened up a plane, where these ghost demons can enter our world and kill us at anytime they want. So, when Patrick comes over to Kelly and Ben’s place, he sets up their house with all the high-tech gadgets in order to play the original recording from the first scene in reverse in hopes to send the ghost demons back to their world. Do you think by putting up some Radio Shack speakers and transmitters would send evil back to their home world? Hell no, it just makes it worse. This PG-13 horror film, if you can call it that, has no scares whatsoever. Sure it might scare a six year old girl with a skinned knee, but above that, this movie is blank. This is Todd Lincoln’s first attempt at a feature film, and hopefully it will be his last, but we all have come to know that in Hollwood, you fail upwards, so I’m sure he has a bright future ahead of him. Lincoln seemed to like the films ‘Paranormal Activity’, ‘Poltergeist’, ‘The Ring’, and ‘Ghostbusters’, because all of those films in some form or another are referenced. But they are referenced poorly. The chemistry and acting between Greene and Stan deserves all the Razzie awards. They didn’t have much a of a script to work with, and it seemed like every piece of dialogue spoken was read right off a cue card that was made up a few seconds before the scene was shot. There was nothing interesting about either of them, other than that Kelly could play a mean Street Fighter match. And why Felton, why? Why did you choose to do this film? Did you owe someone a favor? Minus ten points for Slytherin for you doing this movie. I know you can do better and you will. The best part of this film was when it ended. Thank the gods that this film has a run-time of only 82 minutes, because if it was any longer than that, I might have gouged out my own eyes. Stay away from this film. This entry was posted on Friday, August 24th, 2012 at 11:37 am	and is filed under Film, News. You can follow any responses to this entry through the RSS 2.0 feed. You can skip to the end and leave a response. Pinging is currently not allowed. « Bryan’s Review of ‘Premium Rush’!! !